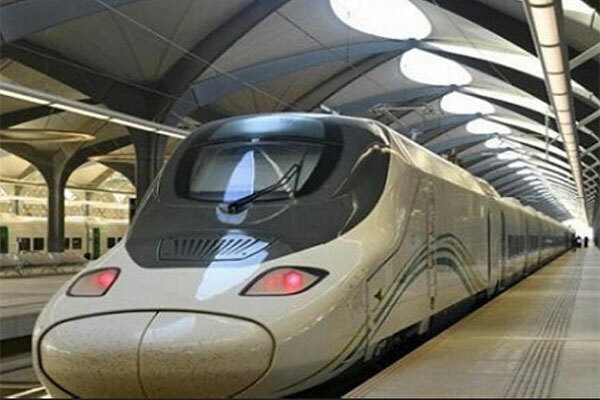 Saudi Arabia’s high-speed Haramain electric train project between Makkah and Madinah is expected transport 60 million passengers a year using 35 high-speed trains, each with a capacity of 417 seats, the director general of the project said. The Haramain Speed Train will be launched this year, Mohammed Abdulhafiz Fida was quoted as saying in a Saudi Gazette report, which cited Al-Jazirah Arabic. “The people of Makkah and Madinah regions as well as pilgrims who come for Haj and Umrah will be able to enjoy the service this year,” he added, without giving a specific date for the commencement of commercial runs. Trains on the 450-km-long electric railway system will pass through Jeddah and King Abdullah Economic City in Rabigh. The railway will reduce the travel time between Makkah and Madinah to two hours and 15 minutes with trains running at a speed of 300 km per hour, the Saudi Gazette report said. The railway has five stations designed according to Islamic architecture in Makkah, Madinah, Jeddah, Rabigh and King Abdulaziz International Airport. The stations will have lounges for departing and arriving passengers, waiting rooms, shops, restaurants, cafes, car parks and a VIP lounge, in addition to a mosque for 1,000 worshippers, a helipad and a Civil Defence centre. The project also includes 850 networks for rainwater, floods and sewage, Fida said, noting that the Jeddah station alone can handle more than 25,000 passengers per hour. Fida said the 35 trains would be scheduled considering the seasonal rush of passengers. “An electronic website will be launched ahead of commercial operations, in addition to a special mobile phone app and automatic ticket sales points at stations. We’ll also establish reservation offices,” he added. Fida said passengers would be able to travel between the two holy cities paying the lowest charges and the trains will have executive and economy classes.